There’s a new restaurant under construction in our mall. 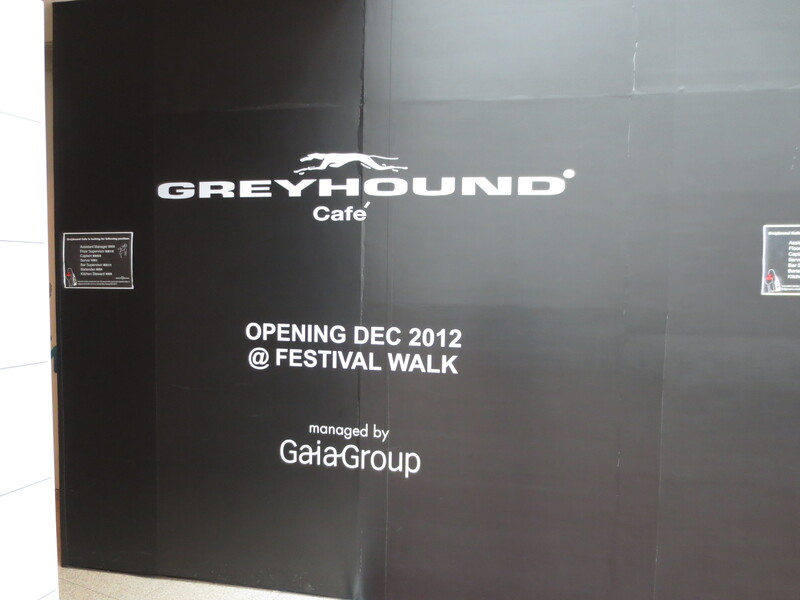 It’s called Greyhound Café. Two things about this are noteworthy. They will serve Thai food. I like. They have no problem with trademark infringement. Seriously, look at this logo. Mmmmm. Thai food with a long-haul bus-trip twist. Now look at this bus. Do you notice any similarities? Check out the dog, check out the typeface. Now think about the last time you rode the Greyhound bus. Hint: it was boring and vaguely nauseating, due in large part to the ever-present evidence of the industrial air freshener losing its battle against Unspeakable Forces in the restroom. Also, you were delayed almost immediately due to traffic, but the driver nonetheless insisted on taking the full 40-minute dinner break (at 3:45pm) at a truck stop Hardee’s along I-80. Also, a guy near you consumed three entire bags of pistachios over the course of four hours, a feat that, while somewhat heroic, is also sincerely troubling. Is this what one wants to evoke when opening a Thai restaurant? Greyhound Café, design your own damn logo. You don’t know what you’re doing to me when you copy that one. Please, cease and desist, or I will draw attention to your perfidious, graphical theft to the appropriate authorities.